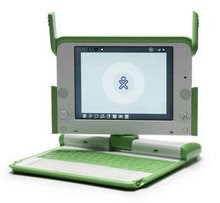 OLPC learns and grows from every distribution, small or large, and actively seeks out feedback, documentation and analysis. OLPC partners and communities are critical contributors in this feedback loop and likewise are usually interested in how monitoring and evaluation studies from different countries can offer insight into successes and challenges of one laptop per child programs. The learning team at OLPC's Cambridge MA headquarters has compiled the first version of an assessment report of the existing M&E literature to compare different projects, generate discussion, and gain inspiration.